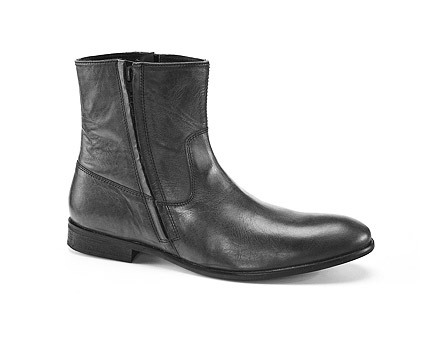 These Buffalo leather ankle boots are 100% authentic. Any man will look super stylish in these classic numbers that never date, and for this season they are a perfect choice! The design of these boots features a side zip detail which not only looks smart and trendy but also offers practicality with ease of wear. They are incredibly durable and sturdy with long lasting 100% buffalo leather uppers potentially lasting you years, and as they age they will remain stylish with a distressed kind of feel. 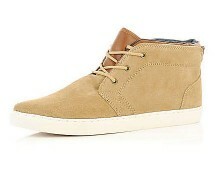 Added comfort comes with the superb quality and leather lining and sock! Perfect grips for wintery weather, a perfect cosy comfort for your feet and a perfect stylish addition to your everyday style! Team these Buffalo boots with boot cut jeans for a smart everyday look that will suit all men; otherwise pop on some slim fit jeans and expose the boots in their full glory for a real stylish result! 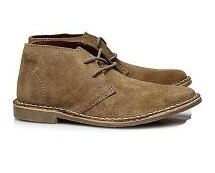 Suede shoes are winners this season simply because they are practical and stylish. 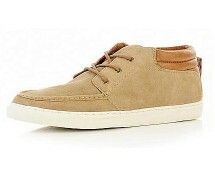 These light brown lace up high tops can be worn on any occasion. 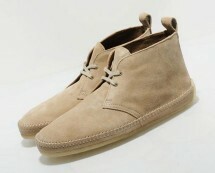 This season's favorite desert boots feature suede upper and crepe sole. Available in brown and sand.